A busy day in London yesterday, doing talks and writing workshops at Fortismere School (fantastic kids, lovely lunch...)and then a podcast at The Guardian, note, twenty minutes before this was was recorded I was only able to mutter BIG CAFFEINE PLEASE to the man in the cafe, so I'm a little concerned I may not be as sparkling and clever-by-half as I would have preferred. We shall see. (trembles with nerves) Whenever I come to London Town I expect to see celebrities as this is where they all seem to live, and I was pleased to spot Jarvis Cocker and then Sarah Beenie. My taxi driver told me how he never ate baked beans and had some good parenting advice for me which I fully intend to try. On the train the woman in front was having a most interesting conversation with her gentleman friend which I eavesdropped in a writerly way and will come in useful some day I'm sure. A winner of a day! Today I powered up the M5 in the rain and fog and landed at Brimsham Green School, Yate and spoke to some great students (120!!) about writing and BULLET BOYS. We had a raffle and a good chat. Thanks to Becky Harrison, the librarian, and her colleagues at the school for looking after me. I was very impressed with the dedicated fiction room (as well as the library). All students get a fiction/reading lesson every fortnight. How intelligent! Why don't all schools do this? Backwell School does! and I had the pleasure of meeting students there this afternoon. Here is a picture of uber-librarian Anne Gibson in her fantastic fiction room. 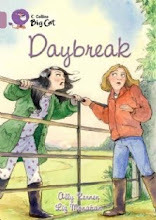 And my new book for Collins Big Cat school reading series, DAYBREAK, illustrated by Liz Monahan, is also out now! Tomorrow is Linnie’s birthday, and all she wants is to see the bore: a tidal wave about to crash down the estuary. But there’s a problem on the farm and (to her sister’s delight) mum says she can’t go. Desperate to see it, Linnie makes a big mistake, but finds help from an unlikely source. So Bullet Boys is published today. Big thanks to everyone at Marion Lloyd Books and Scholastic. I will be launching the book with a tour later this month (please, no snow) visiting London, Bristol, Preston, Salford, Sheffield and Leeds. When I began this book I had no military knowledge whatsoever and I have some characters in the story who are soldiers, so I scoured the internet, using youtube, military websites, and emailing contacts, but I also did some research in the real world, going into my local army recruitment office armed (ha ha) with a list of questions. I was scared I admit, would they make me do press-ups? Would there be shouting? Luckily a very nice chap in clean boots answered my stupid questions, though I was first rigorously interrogated about my credentials. And that was that. And no press ups. Phew. Good to know no one gets past that lot very easily. I then had a delightful 20 mins asking how one might steal an armoured vehicle say, or what might happen if one strayed into a firing zone on Dartmoor and so forth. Thanks! I spoke to other military personnel, what exactly might a group of squaddies be wearing on a physical training challenge on a hot day on Dartmoor, or how might one smuggle military equipment out of a war zone. All my contacts were most helpful and I now have some good ideas about a new career in gun-running should the writing not take off. The book is set on and around the north moor of Dartmoor. I have spent quite a lot of time on Dartmoor in my life, but this book required some specific knowledge, (though those familiar with the moors will not recognise invented valleys, drains, vast trees and farm buildings) So I took a few trips over last summer, here’s a picture of my dad and my son enjoying a picnic amongst the sheep droppings. Nosey cows at stone row. Here is my aunt on Cosdon Hill. ‘I’ll just check the map, Ally !’ (said in fearful tones) She wasn't reassured when I said we should rely on The Force to guide us. At the beginning of the book there is a story about a hare, who could make time stand still. This story was told to my parents by Radley Greenslade, a seasoned countryman who used to walk for miles to come and buy milk from our farm. He always wore white shirts, wellies, and a coat belted with string. He died about 16 years ago. I was only small but was entranced by the vigorous waving of his walking stick to punctuate his talk, and his croaky voice, so thick with somerset accent, I could barely understand him, even though he talked for ages. (he took a shine to my mother, who was a hard-working farmer in her early twenties when she met him) He was full of stories about the area (in this case, Exmoor) but this one was something he had seen. It was about two hares who began dancing together in the fields, and then time stood still; the wind stopped blowing, the birds sat still in the trees, and the river ceased to flow. Then the hares turned into humans, a gentleman, and a lady, and continued to dance. When the dance was over, time continued, and the dancers returned to their original form. It sounds like a crazy story, I know, but if you are going to find magic anywhere, it would be up there, on those hills. When we meet Alex in Bullet Boys, he has his gun sights trained on a hare, but cannot shoot it. The story, told to him by his mother, is one of the first things he mentions and a hare appears, at a moment of great need, later in the book. There is a farm in the story which is central to the action and to one of the character's lives. It is called Strangeways Farm, a fictious place, once owned by Alex's family, now belonging to the military for training exercises. I needed an exciting name for the farm, and Strangeways is the name of the family farm of my husband's childhood. I asked if I could 'borrow' the name and he agreed, though my farm bears no resemblance to the real Strangeways. 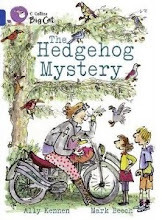 I love the name, it implies all sorts of mischief and mystery, and for a time, considered it as a title for the book! BULLET BOYS PUBLISHED BY MARION LLOYD BOOKS TODAY! For more information about the story, see below. 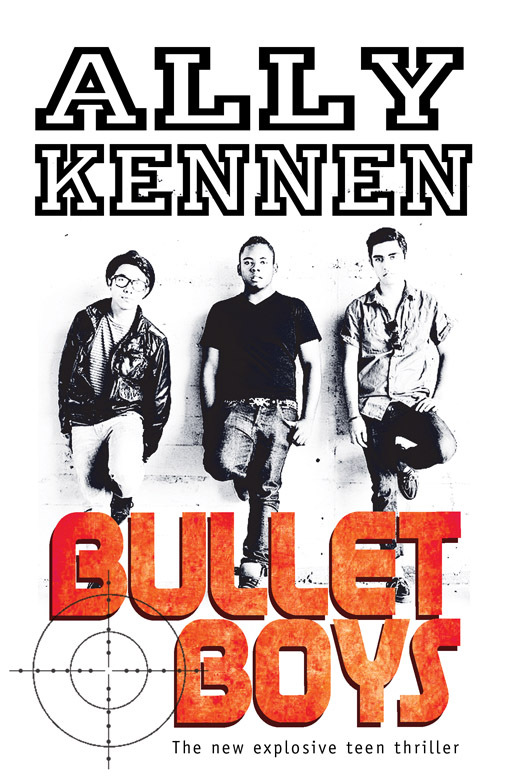 BULLET BOYS is published tomorrow! Fireworks, clinking of glasses, rustling of pages, roaring. The countdown has begun for the official publication day. All right, some copies are in the shops already and can be ordered online but Thursday 5th January is the official book birthday for my new teen novel BULLET BOYS. The book is set on and around Dartmoor and is about Alex, a cool-headed, crack-shot gamekeeper's son, Max, a turbulent and mixed-up trouble-maker who has been kicked out of his posh school for extremely bad behaviour and Levi, a friendly shrewd boy who holds the gang together. This unlikely set ricochet off a young squad of local army recruits. And when the boys discover something very real and deadly, buried in a bog in the depths of a military training ground on the moor, explosive events are set in motion. A man hunt, with armed soldiers, takes place on the moors, with unexpected and terrifying results. I will post some extra notes about some of the adventures I had in the creation of the book tomorrow...on publication day.